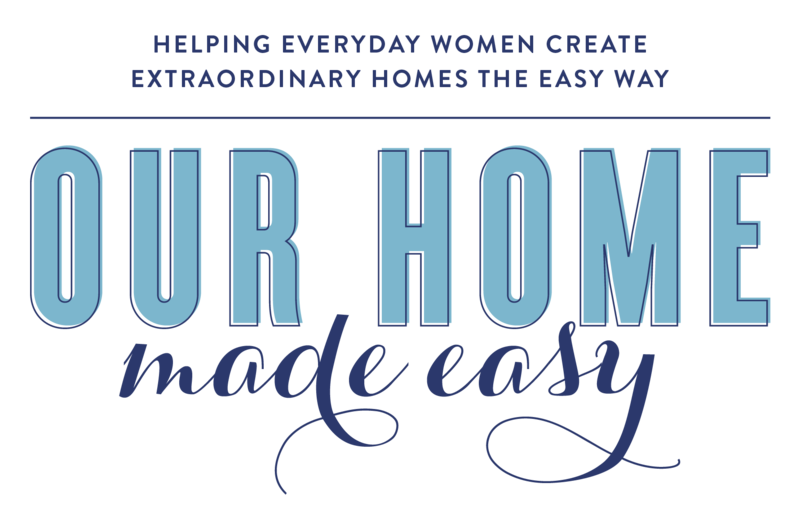 When you have a do-it-yourself hubby, we know that they would love to build rather than just buy off the shelf. If you live with someone who constantly says “I could build that!” then this gift guide is perfect for you! 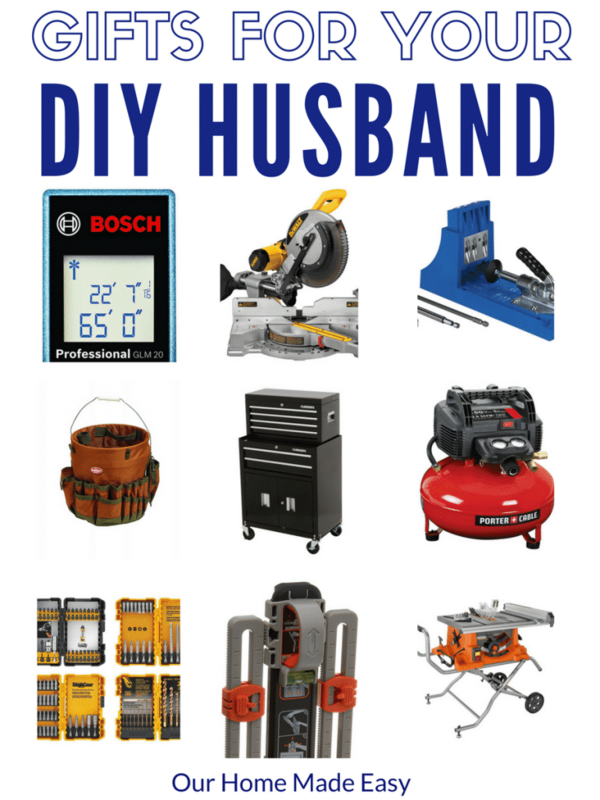 These are some of the best gifts for the DIY husband…. 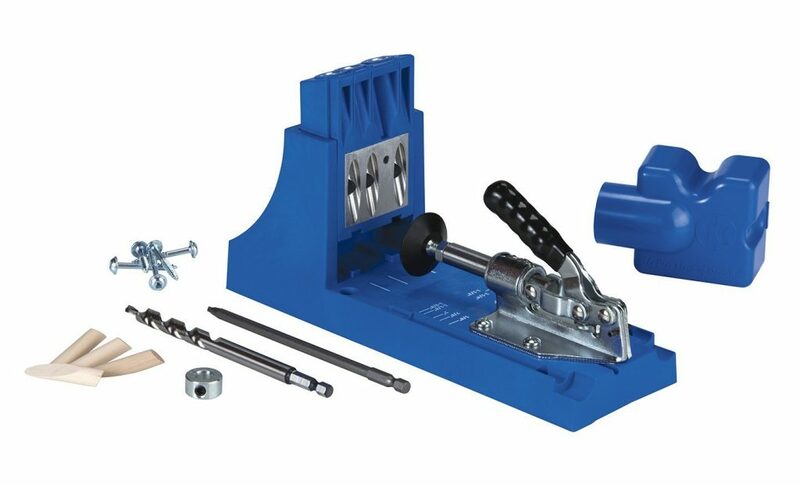 Kreg Jig System This is the best tool for any DIY-er! With the Kreg Jig, you can build thousands of different projects. 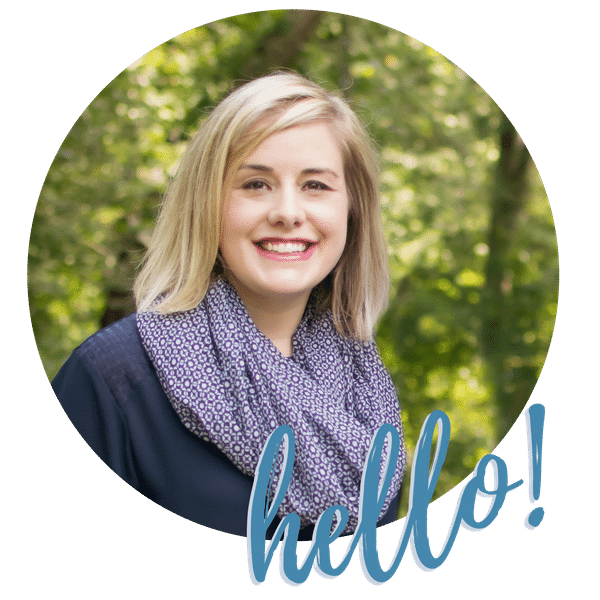 It’s super easy to use and anyone can be a maker! Laser Measure No more guessing measurements! This laser will save so many headaches since it’s precise in measurement to 1/8″. All you have to do is press a button and the laser will read the distance, pretty awesome! 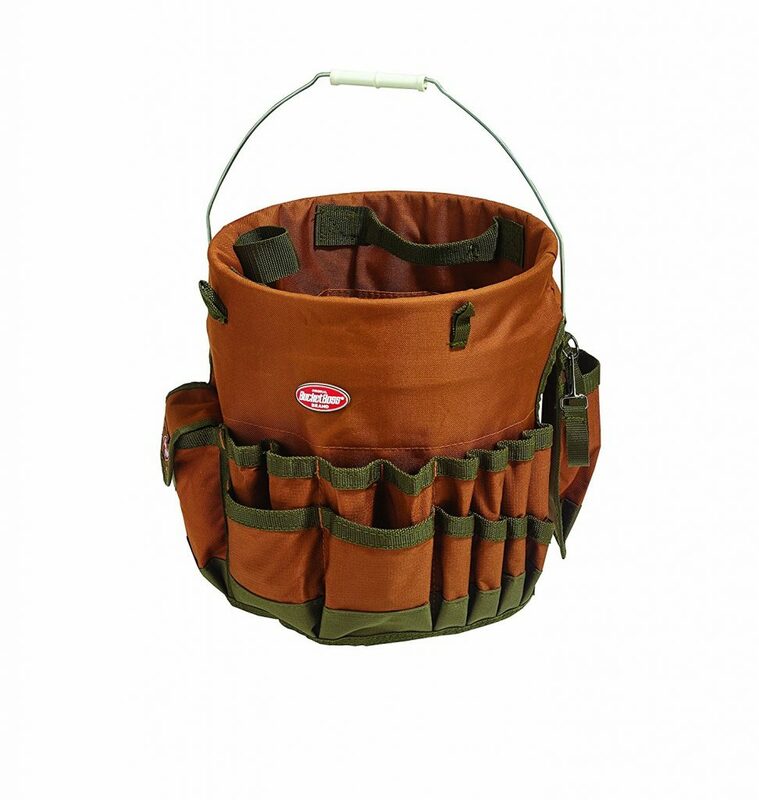 The Bucket Boss instead of making multiple trips from the garage or basement to the work site, you can gift a buvket that will keep all your DIY tools organized! This will save him so much time going back and forth and looking around for tools. 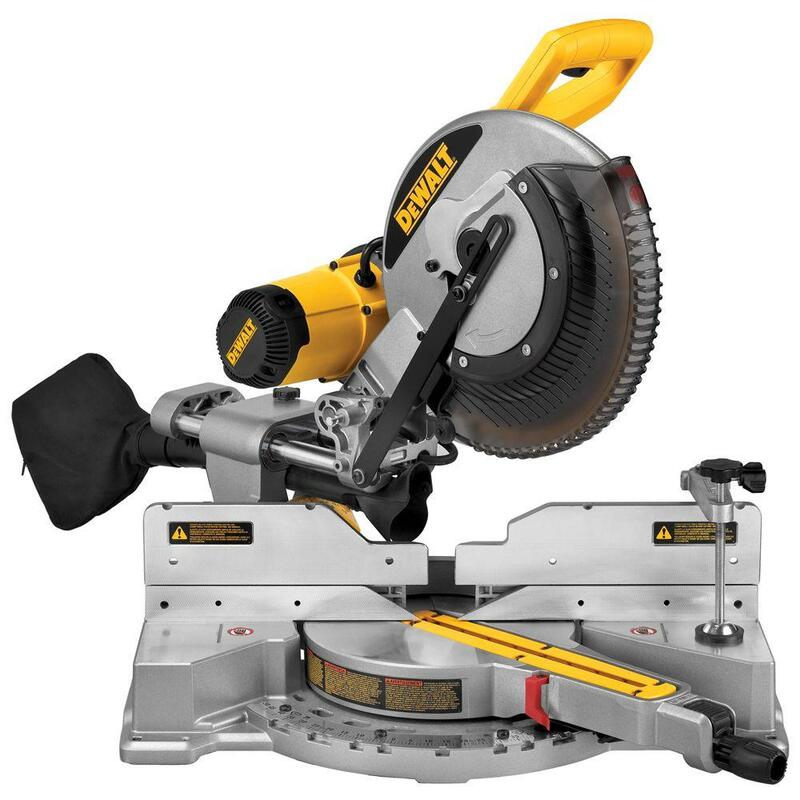 Dewalt 12 in Miter Saw This saw is the most used tool for all any DIY projects! Before you can start attaching pieces together for he Kreg Jig, you need to cut them to the perfect length. This saw has hundreds of positive reviews. Safety Glasses When it comes to DIY, safety is so important! 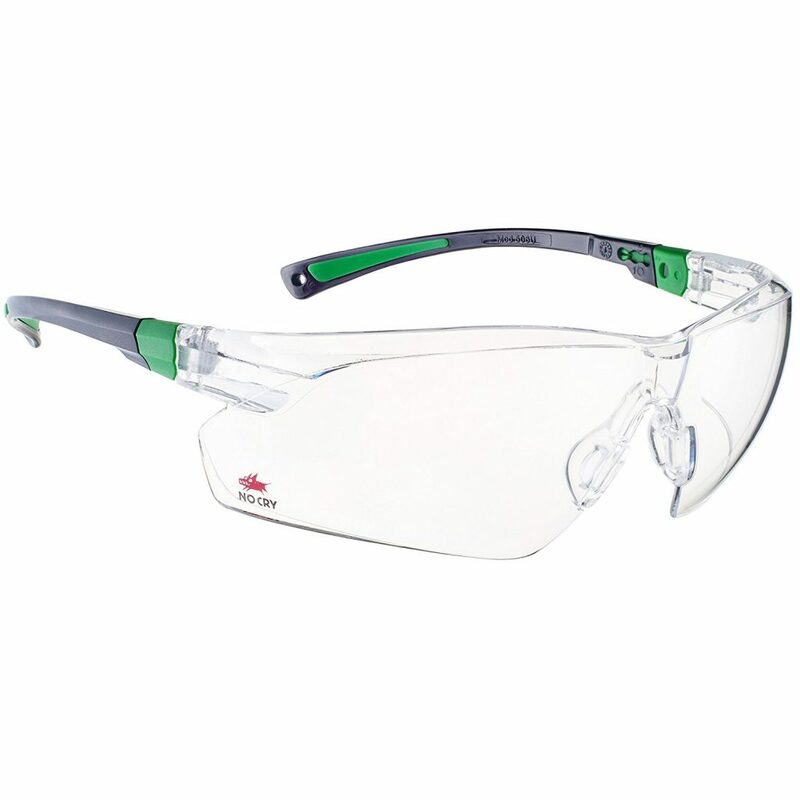 Gift a high quality pair of safety glasses as a stocking stuffer. Now you can have beautiful projects and still be safe. 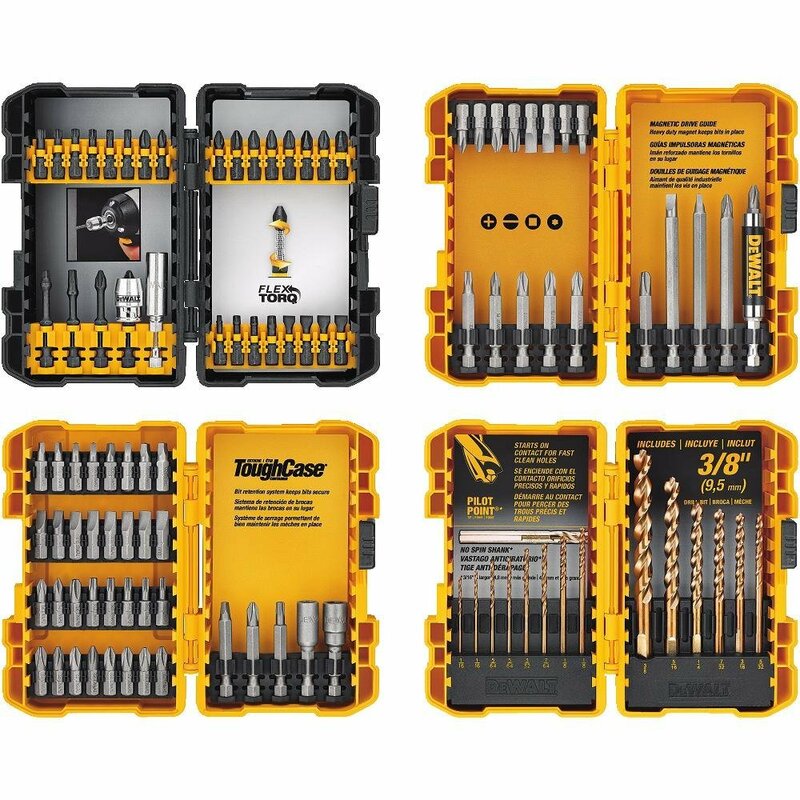 Screwdriving & Drilling Set Every DIY er likes having more selection for tools! 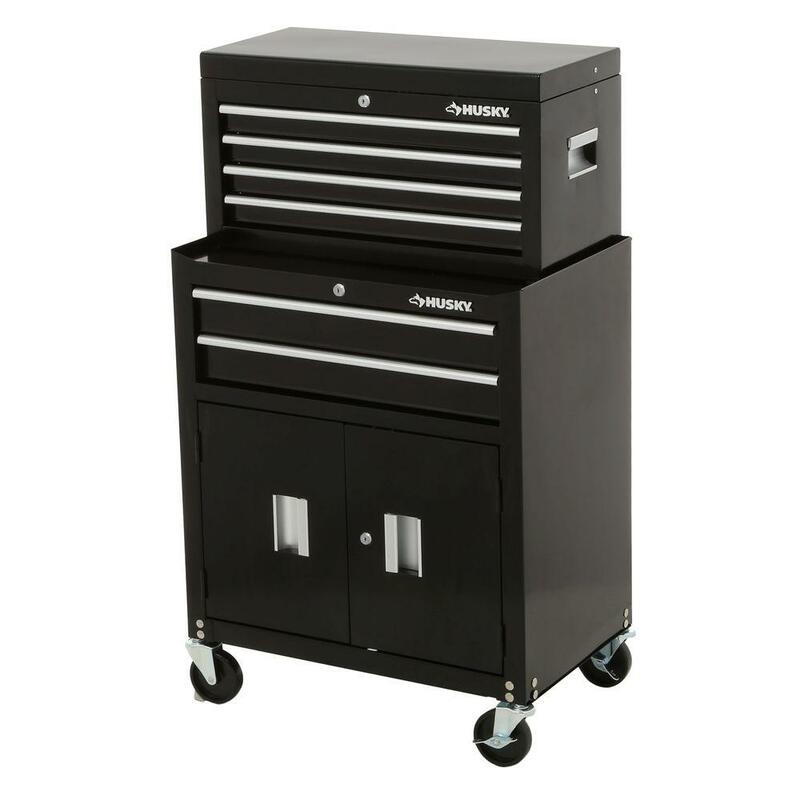 Help build a tool set with this collection. 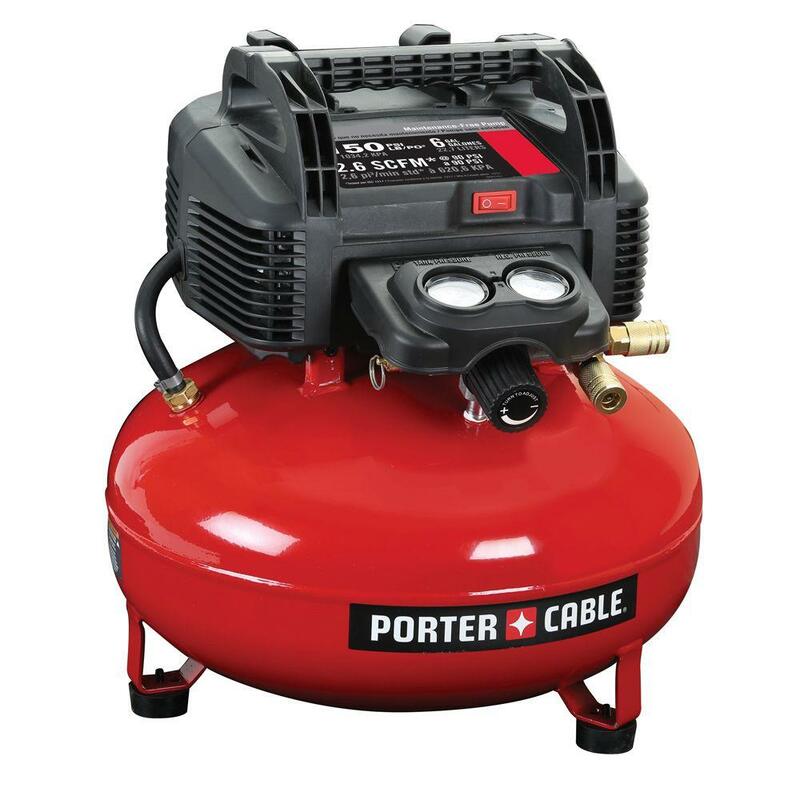 Portable Air Compressor These are worth their weight in gold– literally! Every DIY-er needs a small air compressor to nail in board & batten moulding to adding easy wood frames to DIY wall art. Picture Hanging Tool Kit No matter where you live, every DIY-er needs to hang up wall art! This tool makes it super easy! 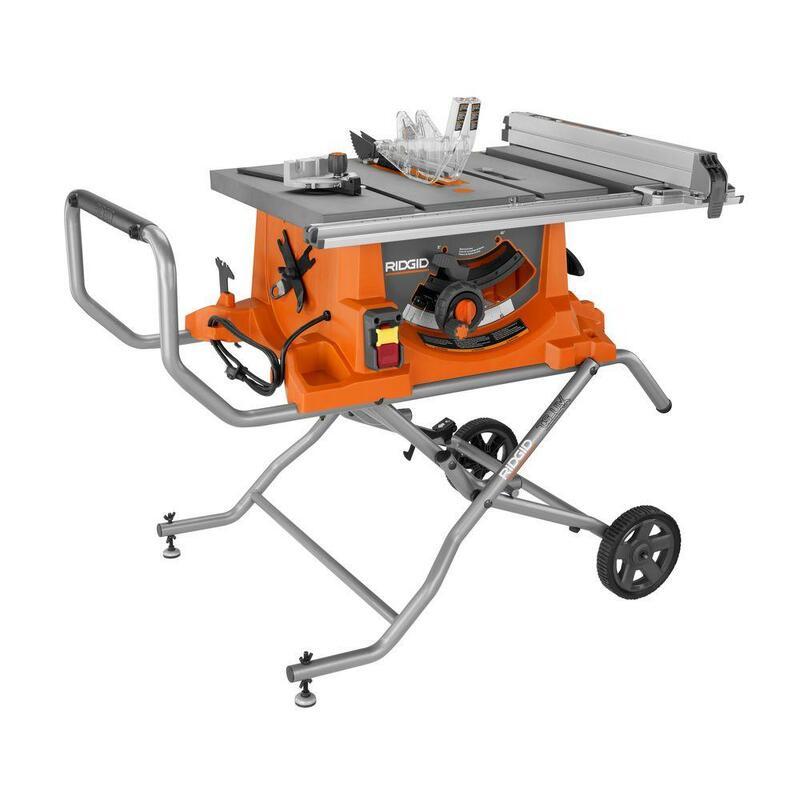 Portable Table Saw If you know the DIYer who seems to have everything basic, this saw is great. It’s an investment in building around the house. As a bonus, it’s portable and collapses to take up less room in the workshop. 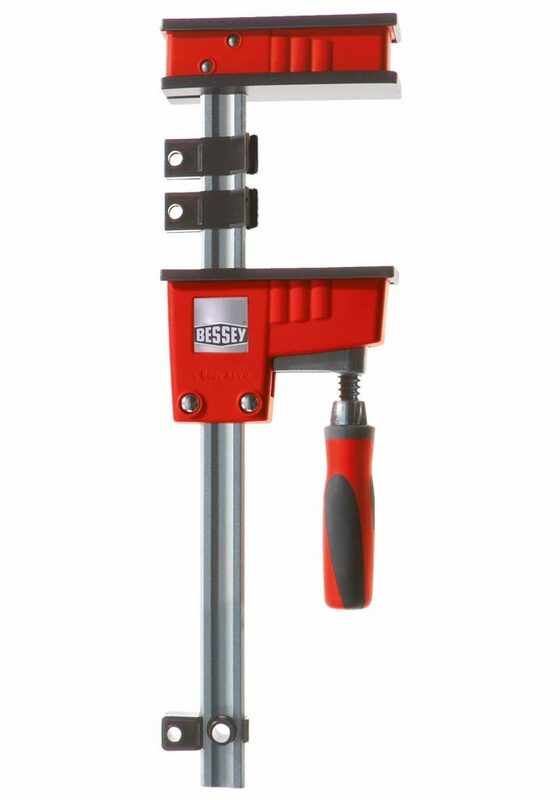 Parallel Clamp If you have wood worker on your list, these clamps are a must! They are sold as a 2 pack and have a perfect parallel jaw design for, 90-Degree clamping of materials and general purpose clamping of wood.